Xiaomi’s Redmi series has proven itself successful, manufacturing budget smartphones and selling them at unbelievably low prices without sacrificing performance or essential features. Their latest smartphone under the Redmi series is the Note 5A which was just launched at an event held in Beijing, China. It is the successor to the Redmi Note 4A that is currently available in the market. The Note 5A comes with an emphasis on good build quality at a budget price range. It sports a sleek metal unibody. You get capacitive navigation buttons on the front. The antenna bands are on the back of the phone along with the primary camera and LED flash. The USB Type-C port and the dual speaker grilles are located on the bottom of the device whereas you will find the 3.5mm headphone jack on the top of the phone. There’s also a fingerprint sensor made available this time around on the 5A, although it’s reserved for the higher end models. Up front you have a 5.5-inch IPS display with a resolution of 1280 x 720 pixels. The display is big enough to enjoy games and various other forms of multimedia although we will reserve our comments about the resolution. With the Note 5A, you get the the option of both the Qualcomm Snapdragon 435 or 425 processor. The Snapdragon 435 variant comes with the choice of either a 3 GB+32 GB variant or a 4 GB+64 GB variant. Meanwhile with the Snapdragon 425 you are stuck with the 2 GB+16 GB variant of the 5A. 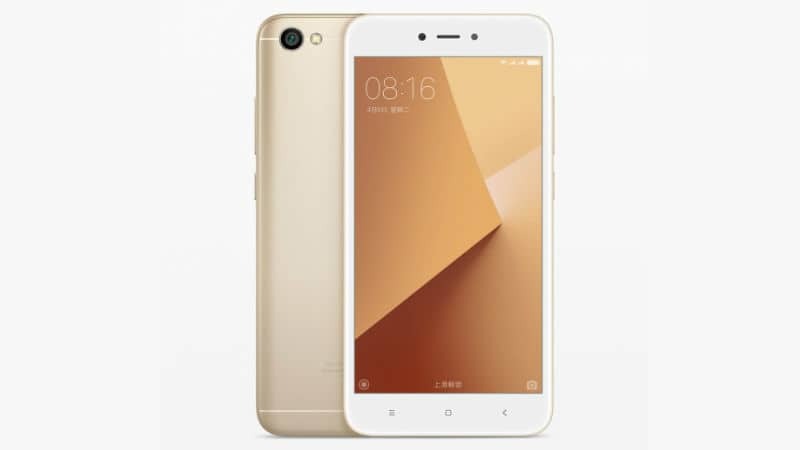 On the OS front Xiaomi Redmi Note 5A features Android 7.0 Nougat with MIUI 9. As far as skins go, MIUI is well optimized and doesn’t lag at all. As far as the camera is concerned, the Note 5A has a 13 MP, f/2.2 aperture, primary camera which is accompanied with an LED flash. There’s also phase detection autofocus available for faster auto-focusing. Xiaomi is upping its selfie game with a 16 MP front facing camera but it comes with a catch;the lowest end variant of the Note 5A is stuck with a 5 MP shooter instead. Keeping everything powered is a 3,080 mAh battery. Given the low-res screen and MIUI’s well-known optimizations, a battery of this size will provide some very good backup time. Wayyyyyyyyyyyy better than them (and some other ‘famous’ brands too). In Design and display section it says 720p screen where as in Specification section it says 1080p which one is authentic?